Losing weight and getting fit isn’t always the easiest. And in order to get there, it all starts with our habits. They shape and determine how we live our lives. And when it comes to weight loss, it’s all about daily habits that will get us to our future goals. 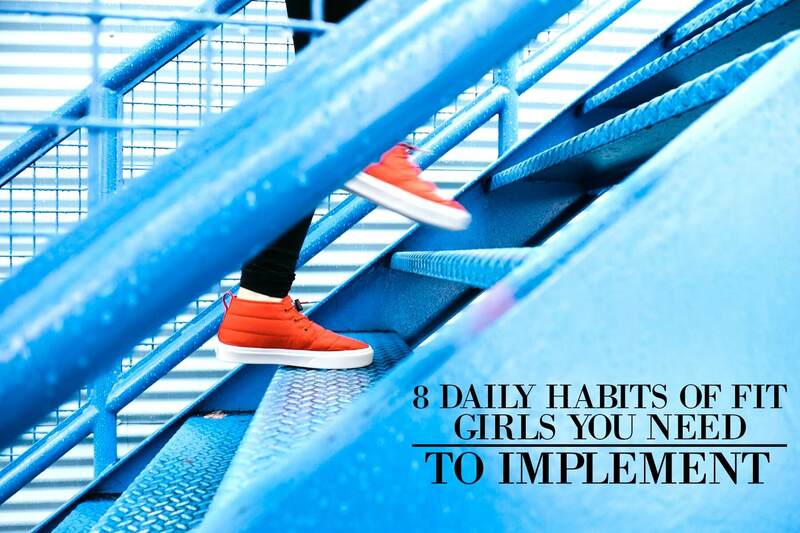 So check out these fit girl habits and let us know what you think. Every fit girl knows that breakfast is a super important meal, so if you skip breakfast you’ll be setting yourself up for a dangerous craving of sugary snacks and other unhealthy meals. Drinking more water will help keep your body healthy and hydrated. So you should aim to drink eight glasses of water per day. But if you’re working out, you need to be drinking even more than eight glasses to maintain a properly hydrated body. And if drinking water isn’t your favorite, then you can drink tea as well. Getting enough sleep and creating a nightly bedtime routine will help to ease your body into a healthy routine and get you one step closer to being a fit girl. Avoid using your smartphone before bed and instead read for 15 minutes. If you are prone to mid morning hunger pains, don’t go for chips or sugary snacks. Instead, keep healthy snacks in your bag and office like almonds or veggies and hummus. Learning to grab healthy snacks instead of sugary snacks will help you to build a habit of eating healthier and reduce the temptation to consume empty calories. If you create a daily schedule and find time to get in one hour of gym time per day, you’ll begin to see and feel the results. Going to the gym and being consistent will allow you to be the fit girl you’ve always wanted to be. You’ll become more confident and create a healthy change in your lifestyle. Learning to build healthy habits starts in the gym and the kitchen! Cooking at home will be just as delicious and you can find substitutions to make your favorite recipes less fattening and healthier. You’ll become more prudent in your food choices and appreciate the knowledge of knowing everything that you’re consuming. It’s important to have your go to workout like running or basketball, but try to diversify your workout routines by trying new and different types of exercises or sports. Not only will you learn new skills and techniques, but you can also target areas that you weren’t able to get before. Just like planning your daily schedule and workout, prepping and planning your meals will help increase your productivity and reduce your stress levels. It will also reduce the chances of you running out to grab fast food for lunch and eating all those unwanted calories. When you just change a few habits in your life, you’re able to accomplish so much. And that includes weight loss! So give these a try and let us know how it goes!